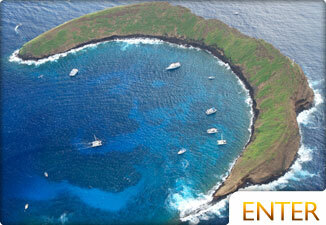 Ma'alaea Harbor's Maui Ocean Center is a must do for Maui visitors and Hawaii residents alike. Located at 192 Maalaea Road, The Maui Ocean Center has something for everyone. This editor has been to many aquarium/ocean experiences, and I can honestly say that this is my favorite. 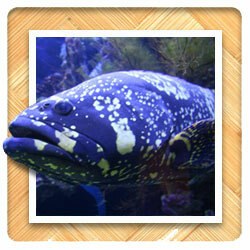 Long Beach, California has a great aquarium as well as La Jolla and Seattle, Washington. Maui Ocean Center is special. Put aside the fact that they have a 750,000 gallon shark tank with over 20 lively sharks, and you still have one of the best aquarium experiences on the globe. One of the many exhibits they have here is a 360 degree tank with glowing jellyfish. Outside you'll find multiple pools for touching and interacting with the sea life including local sea turtles. 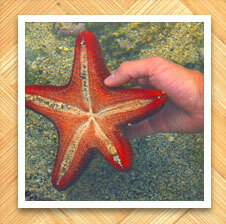 During season, you can be touching a starfish and watching a humpback whale in the near distance outside of the harbor. Everything swimming around and in the Maui Ocean Center is from Hawaiian waters. Children get as much of a kick out of going here as do adults. They even offer overnight sleep overs for groups interested in watching the nocturnal behavior of the sharks and other ocean life. The shark tank holds over 20 sharks including a Tiger shark! The tank also has a long glass tunnel which you can walk through and watch the enormous sting rays, huge tropical fish, and graceful sharks swim over head. For the adventurous, you can even dive in the tank for a price. Tiger Sharks are common in Hawaiian waters, but are rarily seen and seldom attack humans. Seeing one among other sealife is really exhilerating. The tank also holds many other sharks like reef sharks. These Maui sharks are smaller than tigers. All of these sharks are nocturnal, so if you get a chance to see them at night, you're in for a treat. The giant sting rays are also nocturnal and usually only feed at night. These graceful giants are a wonderful addition to the tank and great to watch glide over you from inside the water tunnel. Other tanks at the Maui Ocean Center hold octopus, all kinds of tropical fish, sea horses, jellyfish, hammerhead sharks, green sea turtles, and much more marine life. The Maui Ocean Center is regularly open from 9am to 5pm, and until 6pm from July to August. They are open everyday of the year! Reservations are available, and if you have a large group, it is advised. Call (808) 670-1061 to reserve Maui Ocean Center Tickets. Ma'alaea was once a prominent fishing village and a place of rest for weary travelers. This area is well known for its 'alaea (rich, red dirt.) 'Alaea is used to dye and added to pa'akai (sea salt) for its mineral and healing properties. Ma'alaea Harbor was constructed in 1952 and is used today by commercial and recreational boaters. The funneling of tradewinds between Haleakala and Mauna Kahalawai (West Maui Mountains) creates some of the strongest winds on Maui. Maalaea Bay is home to several surfing spots including the world famous Ma'alaea Pipeline called Freight Trains, one of the fastest breaking surfable waves in the world. This wave breaks on very shallow reef and only breaks a few times per year. The above information about Maalaea Harbor us used courtesy of the Maui Ocean Center. Your changes of being attacked by a shark in Hawaii and what to do to prevent it. Learn more about the harbor village of Ma'alaea.